Ahmed is one of the pioneers and great innovators of modern Ethiopian music, a true legend who has influenced the way music gets made and distributed on the African continent. There, he remains an object of intense fandom. Here, he remains relatively obscure. Born in 1941 in Addis Ababa, Ahmed left school to become a shoe-shine boy, and from here took a job as a handyman at a club that afforded him an opportunity to sing with the house band. Ahmed began his musical career singing in Haile Selassie’s state-sanctioned Imperial Body Guard Band, and continued performing as a vocalist with various other bands after the 1974 military coup that ended Selassie’s reign. Introduced to the Western World in the late 90’s (via the French Ethiopiques CD series) Ahmed has spent over forty years re-combining the traditional Amharic music of Ethiopia (essentially a five note scale that features jazz-style singing with complex circular rhythms that give the music a distinct Indian feel) with pop and western-jazz. This concert is 21+. Mary Sutton and DJ Eric Isaacson to open. 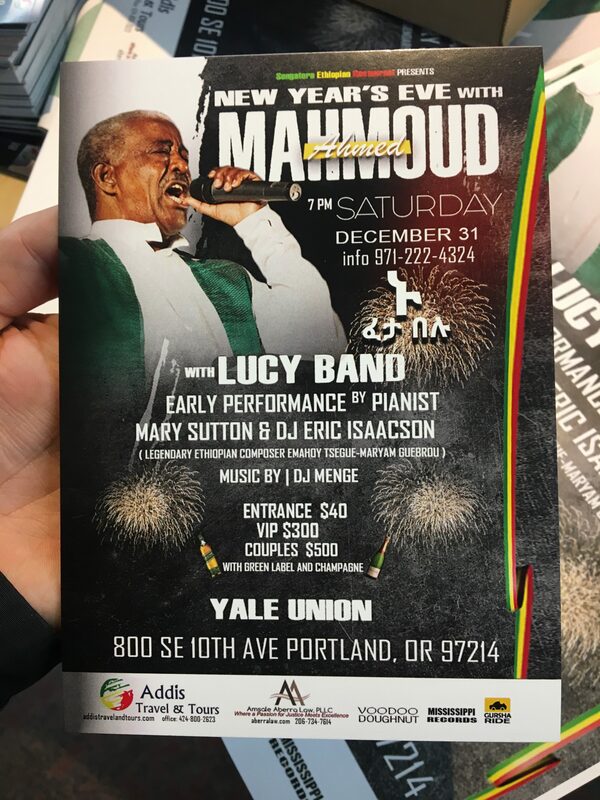 Lucy band to perform with Ahmed. 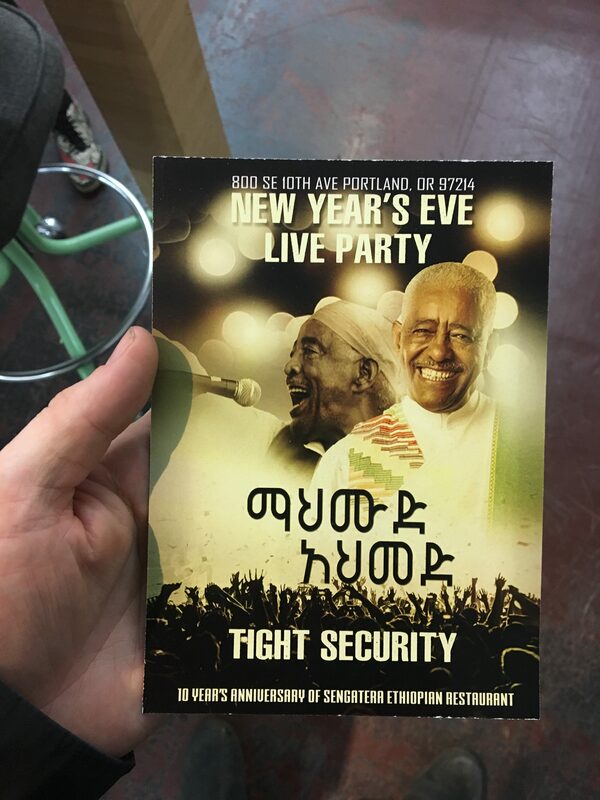 Presented by Sengetera Ethiopian Restaurant who will be running the bar, food and drinks. 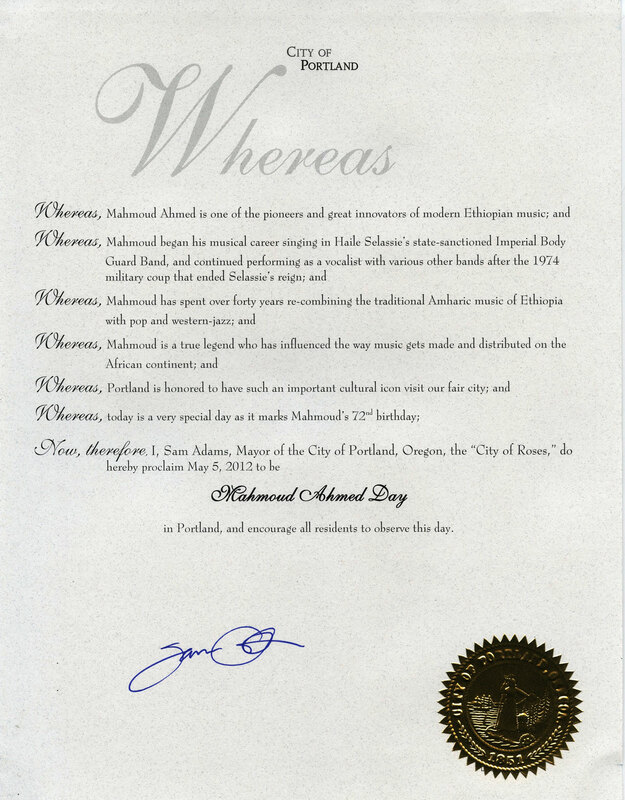 Mayor of Portland, Sam Adams, declares May 5, 2012, Mahmoud Ahmed day. This certificate was presented to Ahmed on stage.